Choosing a name isn’t easy. Whether it’s for your new puppy, a bundle of joy or your reward programme, a name determines a first impression – and often a lasting memory. Sound important? Well, it is. To make sure your name has a lasting (and positive) impression, here’s what to keep in mind before choosing one. When naming your reward programme the first question you should ask yourself is does the name relate back to the programme, and will it have meaning? Will employees be able to easily relate it back to what it is, understand what it means and what to do with it? For example, a common name that I’ve used twice over my career for a recognition programme is ‘Star.’ What makes it great is that it creates an immediate feeling of someone special standing in the limelight winning awards, which is perfect for a recognition programme. Here’s an example. The name of the new benefit programme we just launched at Reward Gateway is called Wellbeing Choice. We named it this because we wanted our employees to easily and immediately understand that this benefit was about giving them a choice regarding their personal wellbeing. Had we called it Wellbeing Allowance, which we did consider as employees do receive an annual allowance, it wouldn’t create the same meaning, feeling and relevance. It’s important to make your reward programme name stand out. Why, because you want it to be noticed. We are bombarded with so much information it’s absolutely critical to find a way to make your programme stand out, and what better way than through the name? If you can capture your employee’s attention from the name, your employees will be pulled into your programme, wanting to find out more. It also has the benefit of creating something called ‘stickiness’, which is when your employees will be drawn back to it over and over again. We kept these principles in mind when we named our online communications portal at Reward Gateway, which we call boom! It has meaning (creating noise through communication) and stands out as it is a bit fun and quirky. Careful attention was paid to make it lower case with some punctuation, which also makes updates stand out a bit more in a flooded email inbox. Another example is the betting and gambling company Ladbroke’s recognition programme, which they named FanClub. An example of this is Connect, which was created for a transportation company’s communications portal using Reward Gateway’s SmartHub platform. I like this because it has meaning back to the business and the program, and is definitely easy to say and remember. Another is FAB (standing for Features, Advantages and Benefits), which was also for a communications platform, and is a great example of using an acronym that has meaning, and again is easy to say and remember. 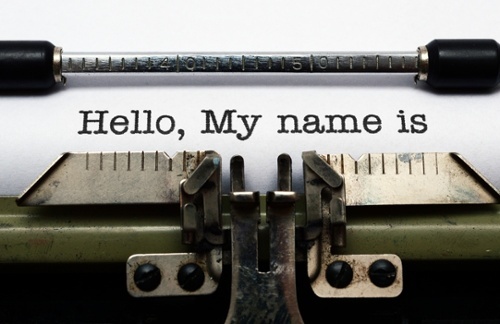 Another tip is to create a name that reflects your company brand, values and culture. We do this when designing reward programmes, and it’s just as critical when selecting the programme name. You can do this in a few different ways. One way is by using a name that goes along with the type of business you are in, creating brand alignment and recognition. Examples of this are Benefits on Tap, which was the name selected by a water company for its benefits programme or Rewards Route, which was the name selected by a transportation company for their rewards program. They both use a bit of a play on words, which can be both fun and effective. The next point to keep in mind when selecting a name for your reward programme is to select one that can ‘stand the test of time’ as the expression goes. For example, The Hamper, which is the name of a food company’s online discount platform, not only related back to the benefits programme and had lovely connotations, but it also gave us so much room to grow with the look and feel of the site and communications. It also sparked great launch events such as picnics, hamper giveaways, etc. This was a name that could be used in many ways over many years. Another example is from another one of our clients, Spotlight, which is a casting company. The name for its online discount platform is the Green Room, which was not only relevant to their actor-based clientele, but had great connotations (the exclusive area where actors hangout backstage). The name lent itself to all sorts of film- and TV-themed communications with clever movie-line-based headings as well. So map out your entire communications campaign, both short and long term, and consider the shelf life of the names you are considering. If you believe that the name will only have a short-term impact, then consider something that gives you room to grow. This is critical as you don’t want to have to change names throughout the life of the programme, as it confuses and/or frustrates your employees.